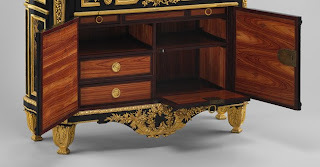 Ordered from Riesener together with a matching commode and encoignure (corner cabinet) for use in Queen Marie Antoinette's cabinet at Versailles in 1783, the secretary and the commode were sent several years later to the Château of Saint Cloud. 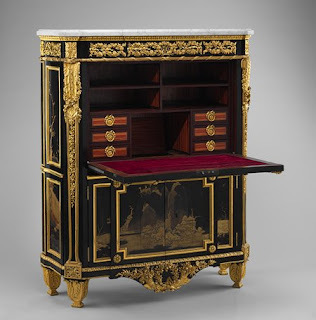 With their Japanese black and gold lacquer panels and exquisite gilt-bronze mounts, the secretary and the commode, now also in the Museum's collection, are among the best known pieces of royal furniture outside France. 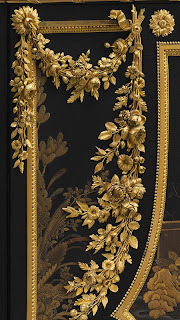 Based on their superb quality, the mounts have been attributed to Pierre Gouthière (1732–1813), the most famous Parisian bronzeworker of the late eighteenth century who became gilder to the king in 1767. Composed of intertwined garlands of naturalistic flowers that incorporate the queen's monogram MA in the center, the jewel-like quality is a triumph of prestidigitation. 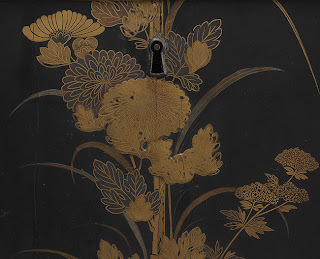 Unlike the ribbon-shaped handles on the front of the secretary that give access to the drawer in the frieze, those on the sides did not have a function and are purely decorative. Jean-Henri Riesener's marriage to the widow of his former master, Jean-François Oeben, helped this poor German immigrant become one of the most celebrated of late eighteenth-century Paris. 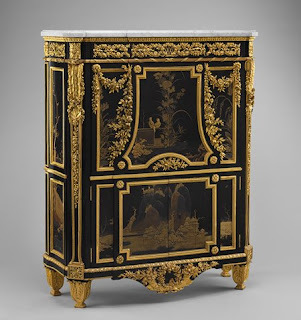 French guild regulations were carefully arranged to prevent foreign competition; thus, marriage into established families was an important way for foreigners to be accepted into the furniture-making community. Through his wife, Riesener became related to other prominent ébénistes such as Martin Carlin. 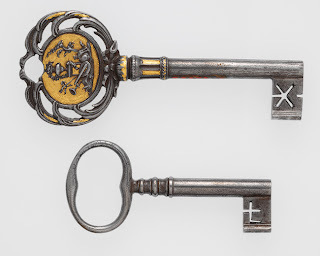 In 1769 Riesener began to supply the Furniture Warehouse of the Crown; five years later he received the official title of Cabinetmaker to the King. 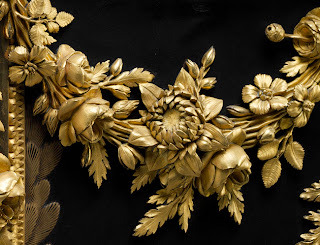 Almost immediately, he began supplying richly decorated pieces covered with mahogany veneers, floral marquetry, and gilt bronze mounts. Riesener was also known for his ingenious mechanical fittings, which allowed desk- and tabletops to be raised or lowered by a singled button. 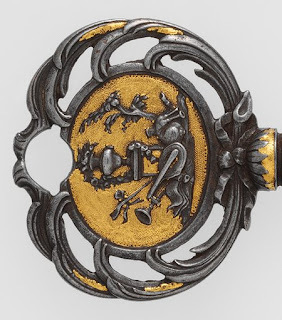 Commissions from Louis XVI, Marie-Antoinette and many noble families made him a wealthy man. 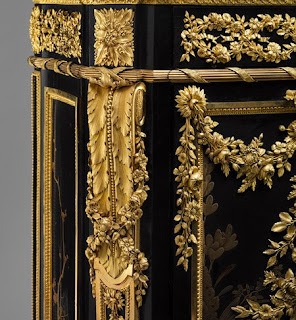 Riesener survived the French Revolution by removing royal emblems from furniture for the new régime. He always believed, however, that the monarchy would be reinstated at some point and used much of his remaining fortune to buy back his own masterpieces. He died in obscurity, political events having proved him wrong. A magnificent piece! I hope you don't mind if I link to this. 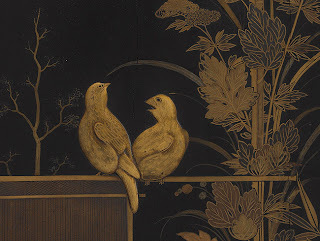 Beautiful carving in the style of Gringling Gibbons can never be considered anything less than the ultimate example of Renaissance talent and execution.